Dr. Zeshan Mahmood, PharmD, has joined Pharmacist Partners as the Clinical Director of Healthcare Strategy. He is working on a variety of market research studies as well as our home care initiative. He is also currently a practicing pharmacist for Walgreens licensed in Washington DC and Virginia. In addition, Zeshan currently works with NovaScripts Central, a non-profit pharmacy that provides free medications to uninsured patients, on patient education and outreach initiatives. Zeshan obtained his Pharm.D. degree in 2016 from Virginia Commonwealth University and also has his BS in Neuroscience from George Mason University. We are delighted to welcome Zeshan to our team! This entry was posted in Press Release on November 8, 2016 by Andrea Haller. PharmacistPartners is delighted to welcome Larry Westfall to our team. For several years, prior to joining Pharmacist Partners, Larry was Director, Healthcare Quality Alliances for the Strategic Customer Group within Johnson & Johnson Health Care Systems. He was part of a team responsible for developing an understanding across Janssen Pharmaceuticals Companies of Johnson & Johnson of the changing dynamics within the US healthcare system, and working across the organization to develop strategies to align company offerings with the needs of current and evolving healthcare delivery and payment models. Prior to this role, Larry held positions within J&J of the National Director, Strategic Alliances in the Health, Policy, Advocacy & Quality division and the Director, Quality Management for the Johnson & Johnson Institutional Franchise where Larry was responsible for providing franchise-specific strategic quality planning & perspective on current health system practices and future healthcare environment strategies. During his tenure in this position, Larry was appointed and served as a Member of the NQF National Priority Partnerships’ Care Coordination Workgroup. Prior to joining Johnson & Johnson in 2005, Larry held a variety of leadership positions with Aventis Pharmaceuticals. This entry was posted in Press Release on October 21, 2015 by Andrea Haller. 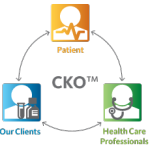 Dr. Alan Krumholz has joined Pharmacist Partners, CKO as its Medical Director and Advisor. As a CKO, Pharmacist Partners utilizes Pharmacists to provide education and advocacy to Patients and healthcare practitioners, on behalf of its clients (Hospitals, Payers, Employers, ACO’s, Pharmaceutical companies). Dr. Krumholz recently retired from the Mayo Clinic Health System (MCHS) where he served for fourteen years as VP of Practice Development at Franciscan Healthcare (FH), and Medical Director of Health Tradition Health Plan. His MCHS roles include: Director of Quality Outcomes and project informaticist on the Humedica database. He was a key physician leader in the EMR Project. Prior to MCHS he has been the medical director of health plans in Massachusetts and Virginia and concomitantly held Associate professorships in Pediatrics and Informatics at the University of Massachusetts and University of Virginia respectively. He has led the industry in the use of utilization, outcomes management and physician profiling and has contributed to the development of HEDIS and Interqual standards. He began his career as a full time pediatric practitioner in a 6 physician private practice for fifteen years, introducing automated systems and processes as early as 1982. Dr. Krumholz is an accomplished speaker at many conferences and academic centers. He has published articles and training materials on Utilization, quality management, physician profiling and physician empowerment. He is a Distinguished Fellow and Past President of the American College of Medical Quality and a Fellow of the American Academy of Pediatrics. He is Board Certified in Pediatrics and Quality Assurance and Utilization Review. Dr. Krumholz holds a BS degree in Physics and an MD from SUNY, and completed his Pediatric Residency at the University of Massachusetts. This entry was posted in Press Release on March 30, 2015 by Andrea Haller. Dr. Donney John has joined Pharmacist Partners to lead the Transition In Care and Employer Solutions Programs. 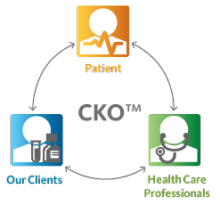 As a CKO, Pharmacist Partners utilizes Pharmacists to provide education and advocacy to healthcare practitioners, on behalf of its clients (Hospitals, Payers, ACO’s, Pharmaceutical companies). Dr. John is a practicing pharmacist, healthcare consultant and entrepreneur, with considerable expertise in the areas of patient engagement, population health management, transition in care and mobile health technology solutions. He serves as a medical advisor for a variety of companies focused on health/wellness, patient engagement and medication adherence. Dr. John is the Chairman of the Board of Directors for NovaScripts Central, a non-profit pharmacy that pr ovides free medications to uninsured patients in the northern Virginia area. He is also the founder and CEO of Urban Medical Solutions, a health consulting company based in the DC metro area which provides consultative services focusing on clinical workflow and technology integration. Having previously worked as an Assistant Professor of Pharmacy Practice at Massachusetts College of Pharmacy & Health Sciences, Don developed innovative ambulatory care practice sites within federally qualified community health centers. He has trained pharmacy students, pharmacy residents, medical residents and other healthcare professionals in the areas of health literacy and cultural competency. Don holds a Doctor of Pharmacy degree from St. John’s University in Queens, New York and has completed a pharmacy residency with Massachusetts College of Pharmacy & Health Sciences. This entry was posted in Press Release on June 17, 2014 by Andrea Haller. June 2014: Chicago | New York: Q1 Productions and Pharmacist Partners have entered into a Media Partnership for several upcoming conferences.The announcement was made today by Pharmacist Partners®, The Clinical Knowledge Organization™ (CKO). As a CKO, Pharmacist Partners utilizes Pharmacists to provide education and advocacy to healthcare practitioners, on behalf of its biopharmaceutical clients. The inaugural Customer Centric Medical Information Conference will take place June 26-27, 2014 in Boston, Massachusetts, offering medical information professionals the opportunity to participate in in-depth discussions with experts and learn about the latest trends and hot topics in the MI industry. With an agenda tailor-made for medical information professionals, the conference will offer session topics that cover increasing awareness and access to medical information, impact of the Sunshine Act, utilizing mobile technology, and enhancing collaboration across an organization. Sessions and panels will be conducted by some of the medical information industry’s biggest names, including Dominick Albano, Regional Senior Director of Medical Information at Pfizer, Sara Doshi of Eli Lilly, and Scott McConnell, Senior Director of Global Medical Information at Cubist Pharmaceuticals. A panel of healthcare professionals will be on hand to provide a first-hand perspective on technology and information and how MI professionals can more acutely tailor the available information to healthcare provider needs. For the third consecutive year, Q1 Productions is hosting the Pharmaceutical Managed Markets and Payer Marketing Strategies Conference, providing an inside look at best practices to accommodate changing coverage trends and developing new relationships with the rising number of ACOs. In keeping with current trends in managed markets and payer marketing, a variety of session topics are scheduled, including working with ACOs, medical benefit management, state health plan marketplaces, and evaluation parameters. Attendees will participate in various networking opportunities with senior and VP level executives from some of the largest biotechnology and pharmaceutical companies and take part in interactive workshops focusing on deployment and training strategies within today’s healthcare landscape. By popular request, more payers will be presenting sessions, including Michael Katzman of Blue Cross Blue Shield of Massachusetts, Matt Salner of Access Health CT, and Glenda Flemister of Aetna. This entry was posted in Press Release on June 9, 2014 by Andrea Haller. February 2014: Florida|New York: Pharmacist Partners is pleased to announce its participation in PanAgora Pharma’s upcoming CUSTOMER EXPERIENCE SUMMIT MARCH 5-6, 2014 in Princeton, NJ. Pharmacist Partners has assembled a dynamic panel of Pharmaceutical Industry KOLs. The roundtable discussion will cover multiple industry-sensitive topics within the overall theme of “The Emerging Role of the Pharmacist: A Cutting Edge Approach”. Because Pharmacists are the last point of human contact as patients begin their medication journey, there is no “technology” that can replace the personal interaction between the Pharmacist and the Patient. The pa nel will be moderated by Harold E. Cohen, R.Ph, Editor-in-Chief of U.S. Pharmacist. Harold brings unique perspective to his role as moderator. During his 40-year professional career, Harold has served on several national and international association committees and boards, including the position of Chairman of the National Council of Prescription Drug Programs. Kevin is currently Vice President, Managed Markets for Aptalis Pharma. Prior to his role at Aptalis, Kevin served as Vice President, Managed Markets at Daiichi Sankyo. There he built the Value Selling, Pull Through, Contracting, Trade & Institutional, Customer Value Marketing, and Value Pricing & Access functions into a top performing account management team. Dr. Sal Giorgianni, Pharm. D.
Sal was at Pfizer for 27 years and his last assignment was as the Director External Relations and Editor-In-Chief of The Pfizer Journal. During his tenure there he was engaged in several US and global product launches including Cefobid, Aricept, Lipitor, Zoloft and Viagra. 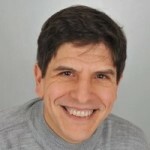 Sal was responsible for developing and directing relationships with professional and voluntary health associations and for various image and reputation management projects to support product and research strategies. He is currently the Chairman of APHA’s Men’s Health Caucus; practicing Pharmacist, author, consultant, and Advisor to Pharmacist Partners. Jack is currently Chief Business Officer at Pharmacist Partners, the Clinical Knowledge Organization. Previously, as the National Director Managed Markets, and Director Trade & Pharmacy Relations at Daiichi Sankyo Inc., he enhanced their product portfolio formulary access and pull-through efforts in brand categories, despite intense generic intrusion and significant product lifecycle challenges. Pharmacist Partners is an organization consisting of highly experienced, licensed pharmacists sharing evidence based clinical knowledge to ALL healthcare providers in their respective communities. The organization delivers unbiased and outcomes based information as well as educational programs to assist practitioners in making clinically appropriate pharmacotherapy decisions and improve patient compliance and persistency using appropriate disease state education with the ultimate goal of reducing total healthcare costs. The team also has expertise in new product launch, approaching the task as an educational opportunity for prescribers and allowing new products to assume their proper role in outstanding patient care. Customized programs can also be designed to address local needs. Pharmacist Partners is poised to be the industry leader in clinical pharmacy programs, completing the need for a prescriber – patient continuum. Pharmacist Partners is Pharma’s only Clinical Knowledge Organization, with offices in Florida and New York. PanAgora is a networking and competitive intelligence firm focused on market development and uncovering core industry opportunities and connections. Our goal is to put your organization at the heart of your industry value chain through thought-leadership conferences and industry events. PanAgora was founded in 2012 to address the growing need of all businesses to incorporate diverse, multi-channel approaches to their marketing and sales strategies.Our team consists of executives with backgrounds in corporate leadership, research, communications, marketing, sales, customer experience and client management. This entry was posted in Press Release on February 12, 2014 by Andrea Haller. June 19, 2013: Florida | New York: Harold Cohen, R.Ph., Publisher and Editor-in-Chief of U.S. Pharmacist, has been appointed to the advisory board of Pharmacist Partners, LLC. The announcement was made today by Pharmacist Partners®, The Clinical Knowledge Organization™ (CKO). As a CKO, Pharmacist Partners utilizes Pharmacists to provide education and advocacy to healthcare practitioners, on behalf of its biopharmaceutical clients. During his 40-year professional career, Harold has served on several national and international association committees and boards, and twice as the Chairman of the National Council of Prescription Drug Programs. He is a well-known speaker both here and abroad on topics related to pharmacy and communications. As Publisher and Editor-in-Chief of U.S. Pharmacist, Harold is responsible for the editorial and business direction of this clinically focused, peer-reviewed publication with a circulation of 138,000 pharmacists. Harold joins John Castellani; CEO and President of PhRMA, Dr. Salvatore Giorgianni; Chairman Men’s Health Caucus, and Jody Stern R.Ph., on the Pharmacist Partners Advisory Board. About Pharmacist Partners: As The Clinical Knowledge Organization, Pharmacist Partners is dedicated to improving patient health and quality of life by leveraging the knowledge and education of its clinical staff. On behalf of its clients, Pharmacist Partners provides a network of pharmacists acting as consultants and adherence advocates to interact with healthcare practitioners in the field. As experienced pharmacists themselves, the Pharmacist Partners consultants possess a clinical acumen that brings peer credibility to these interactions. They are knowledgeable advocates of viable solutions to medication literacy and adherence issues, a joint directive of both the biopharmaceutical industry and pharmacists. With current industry challenges, such as shrinking sales forces and a heightened focus on outcomes, the consultants address these issues while benefiting pharmacists, drug manufacturers and, most importantly, patients. They also are a valuable resource to companies with seasonal needs or during product launches, providing closed loop feedback from pharmacists to the pharmaceutical companies. Founded in 2012, Pharmacist Partners® is The Clinical Knowledge Organization™ with offices in Florida and New York. About U.S. Pharmacist: In addition to its in-depth clinical editorial, each U.S. Pharmacist issue features articles on a variety of subjects important to pharmacists including: pharmacy law, U.S. FDA issues, exclusive patient-teaching aids, USP medication safety reviews, the latest information on new products, and continuing education. This entry was posted in Press Release on June 19, 2013 by Andrea Haller. Pharmacist Partners is pleased to announce that it will share the podium with Dr. Salvatore Giorgianni, Chairman of the APHA’s Men’s Health Caucus, on June 4th, 2013. Jack Kelly, R.Ph., Chief Business Officer of Pharmacist Partners will join Dr. Giorgianni on a dynamic panel: Bridging the Gap between Pharmaceutical Manufacturers and Consumers to Improve Adherence and Health Outcomes. The panel members will be complemented by an outstanding Content Manager, Kevin Dolgin. Kevin Dolgin is President of Observia, a French company providing patient compliance programs. Kevin is also Associate Professor of Marketing at the Sorbonne Graduate Business School, and writes a monthly blog for eyeforpharma. Strategies that support the existing sales & marketing efforts to reach all practitioners within the health care continuum. Elevating the standard of medical literacy to a level that reduces the overall cost of health care. The emerging role of the Pharmacist in adherence and patient education. How to include pharmacists in a comprehensive marketing approach to positively impact both patient health and total ROI. eyeforpharma Philadelphia 2013 is set to become the leading pharma commercial event in North America—restructured and in its eleventh year, this two-day super conference will tackle the most critical issues facing the Pharma and Medical Device industry. Hear from 40-plus senior level pharma speakers and network with an audience of more than 300 attendees from sales, marketing, digital, medical, commercial and market access. For more conference information and online registration, please visit the eyeforpharma Philadelphia 2013 website. This entry was posted in Press Release on March 29, 2013 by Andrea Haller.